Life is good in this beautiful El Granada retreat. The moment you enter you'll feel at peace in the ambiance & warmth of the rich wood accents throughout. Relax on one of the decks & enjoy the ocean views through the trees while listening to fog horn in the distance. Cook an amazing meal in the chef's kitchen. Take a break from it all in the spacious master suites sitting area or the large spa-like shower. Downstairs, family or guests will enjoy 3 private bedrooms, all with walkouts to the lower deck. This home offers the potential for in-law quarters with a private entrance. Also offers the choice of a secluded master suite upstairs, or for those with little ones, a master suite close to the other bedrooms. Located near the Harbor, shops, restaurants, schools, trails, beaches & so much more. Plus right near Hwy 1 & close to Hwy 92. 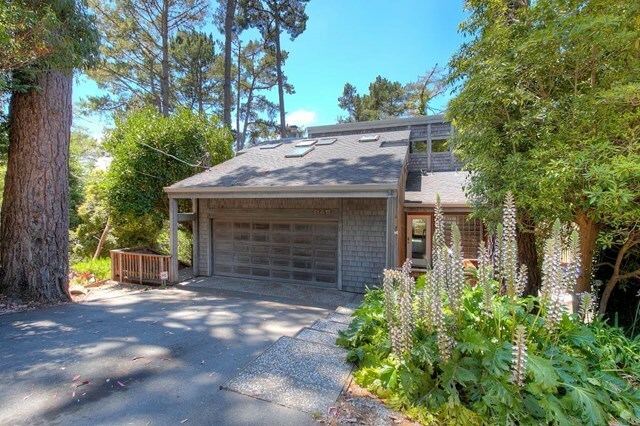 Whether you're commuting to SF, the Peninsula or Silicon Valley, this home provides a pretty central location with amenities you won't find anyplace else.